Science-fiction films set in space can be difficult projects to tackle on a small budget. The challenges of capturing the futuristic, the fantastic and the unknown can seem insurmountable without the cash to throw at them, and the primary concern often becomes how to communicate the most information about character, location and context using the minimum amount of visual cues. Duncan Jones’ Moon overcame these issues by stripping its story down to a single character working in few locations. Director Ruairi Robinson’s feature debut The Last Days on Mars aims for something similar, but it mistakes the need for a narrow scope with narrative simplicity. The film premiered in the Director’s Fortnight section at this year’s Cannes Film Festival, an odd selection considering it wouldn’t be out of place in the Wal-Mart bargain bin (and will probably end up there soon). It’s a decent showcase for Robinson’s talents—his direction is, at the very least, competent—but overall The Last Days on Mars is as generic as its title, and a disappointingly dull affair considering its ensemble cast. The bare-bones plot follows a group of astronauts on the last day of one of the first manned missions to Mars. They’ve only got 19 hours left to study the Red Planet, and the opening 15 minutes of the film lay the groundwork for a potentially interesting character piece, presenting the team’s individual reactions to their impending return home. Our regular nice-guy hero Vincent Campbell (Liev Schreiber) and his gal pal Rebecca (Romola Garai) can’t wait to get back to the blue skies and green grass of Earth. Captain Brunel (Elias Koteas) is trying to make sure everything is working properly for the incoming replacement team. Ship psychologist Robert Irwin (Johnny Harris) just wants everyone to be happy. And prickly Kim (Olivia Williams) is frustrated by the fact that they haven’t found anything out of the ordinary. Of course, they do find something out of the ordinary, when scientist Marko Petrovic (Goran Kostic) rushes out to investigate a last-minute discovery under the guise of fixing a mechanical problem. He wants all the glory for himself, but his selfishness costs him his life when a fissure opens up beneath him at his moment of triumph. The stage is set for, if not a genre masterpiece, at least an intriguing look at how different people react to a crisis. Some might want to follow-up on their colleague’s discovery. Others might simply wish to pack it up and go home, content to let the next team handle it. What becomes an acceptable risk in the pursuit of discovery and revelation? That’s the question that this year’s other low-budget sci-fi thriller, Europa Report, handled so well. Unfortunately, The Last Days on Mars can’t quite figure out what the driving force of the narrative should be, sacrificing meaningful character development in the name of clichéd scares. It turns out Petrovic discovered an alien micro-organism that turns its hosts into deformed, murderous and seemingly invincible shells of their former selves. In other words: space zombies. Screenwriter Clive Dawson (adapting Sydney Bounds’ short story “The Animators”) doesn’t spend any time trying to explore the thing that would separate Last Days from survival horror films set on Earth—the details of this alien life—and instead the plot mainly involves characters trying to get from point A to point B to point C without winding up dead or infected in the process. The obligatory moral quandaries raised by a potentially lethal outbreak feel like an afterthought, with some people thinking only of themselves while others remain loyal to their colleagues. It doesn’t get more complex than that. There are moments when it seems like Robinson and Dawson are trying to turn a by-the-numbers slasher film into a more thoughtful meditation on life and death. The mechanics of the viral infection are so vague that it’s unclear to what extent victims are still “alive,” even as their bodies violently attack the people around them. Are they aware of what they’re doing? Is any part of a soul left behind? How does this alter belief in an afterlife? Like all the other most interesting elements of the premise, these issues are brought up and then abandoned. How this immensely talented group of actors was persuaded to work with such thin material is the biggest unanswered question, however. Olivia Williams in particular feels wasted: her character, Kim, is an ambitious no-nonsense scientist with morally questionable priorities, yet she brings such intensity to even the smallest of interactions that I found myself wishing she was the protagonist. Unfortunately, the job of working-man-hero-turned-last-man-standing falls to Liev Schreiber, who does the best he can with a character that lacks almost all personality. It becomes clear over the course of the film that Campbell suffers from PTSD due to a traumatic incident that occurred months earlier, but the details of what happened are never revealed. It’s Screenwriting 101 without any of the necessary polish, a character weakness that never develops into character depth. It’s hard to root for the humans when they’re nearly as generic as the zombies. It’s not a complete waste. Robinson demonstrates a natural talent for getting the most out of a small budget. The Martian landscape looks quite believable (the film was shot in Jordan), and the sets constructed for the base feel sleek and expansive. The action is largely incomprehensible, though, and there’s little sense of spatial geography. 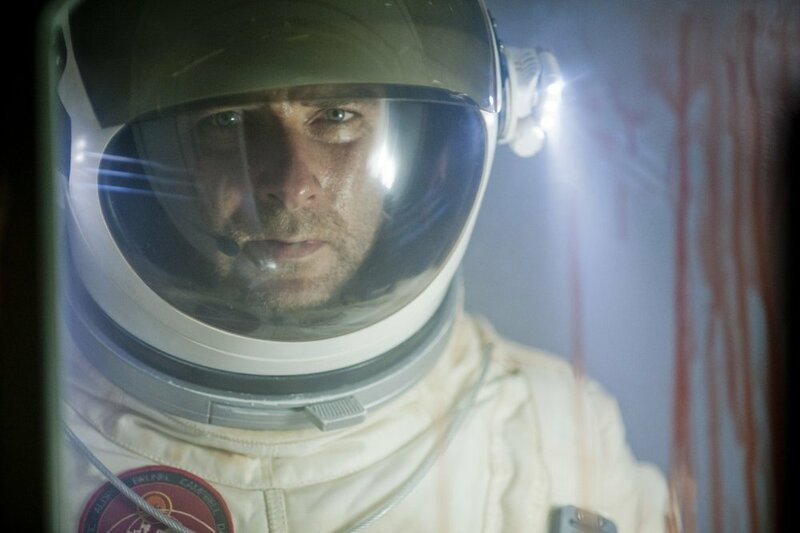 There’s enough polish on display to suggest Robinson might fare better in the future given more substantial material to work with, but ultimately The Last Days on Mars is little more than a bad zombie film with a change of scenery.